Whichever color you choose, you'll be picture perfect as you and your bridal party walk down a glamorous aisle runner created just for you! 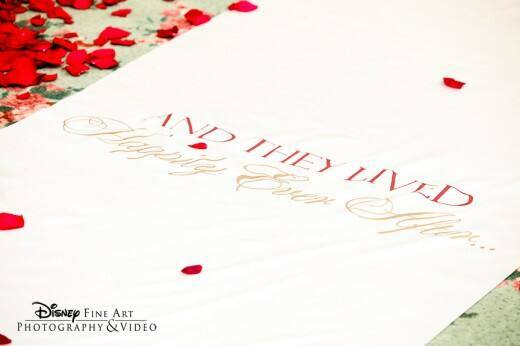 Your pathway to the altar can be luxuriously set with a specialty cloth aisle runner chosen from our wide selection of colors, patterns and custom hand-painted creations. We'll even feature your names and wedding date, your monogram or celebratory saying such as "And They Lived Happily Ever After." Allow our creative Floral Department to dress up your aisle and you truly could be walking on clouds on your special day! 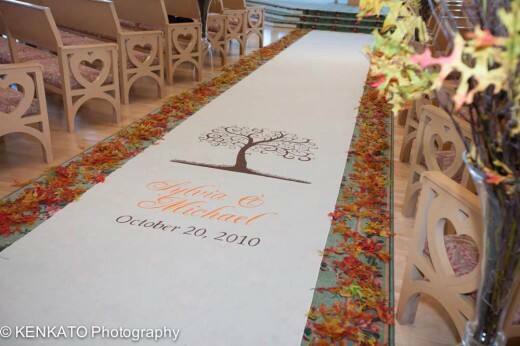 Are you planning on creating a custom aisle runner to pave your way to a happily-ever-after?